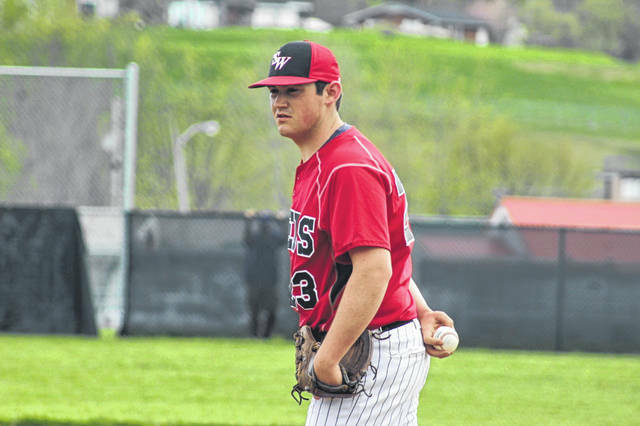 South Webster sophomore Billy Jones allowed just one hit through six innings in the Jeeps win over ISJ Tuesday night. Billy Jones greets Caleb Cunningham at home plate in South Webster’s 5-4 walk off win over Ironton St. Joe. 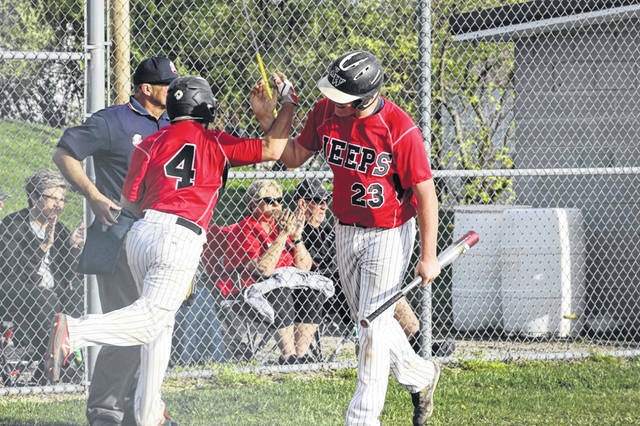 South Webster freshman Riley Cook’s walk off single in the bottom of the seventh inning helped propel the Jeeps to a come from behind win over Ironton St. Joe. When presented with not one, but two different situations, once in the sixth and again in the seventh, down a run needing to score two runs to retake the lead, South Webster did just that. In doing so, the Jeeps picked up a much needed 5-4 win thanks to Riley Cook’s walk off single over a 10-3 Ironton St. Joe team that they will likely see in their push for a district tournament appearance this May. McClintic’s right. 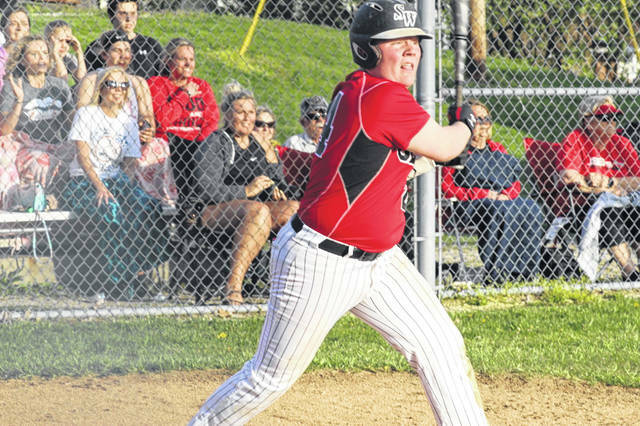 South Webster’s win Tuesday is their second major win in eight days, the first of which was a 9-8 SOC II win over a Division III district champion in 2018, the Valley Indians thanks to a seven run fifth inning. Freshman Riley Cook doesn’t care who the opponent is, though. Nor does he care what the moment is. With two outs in the bottom of the seventh inning, the game winning run on second base, Cook not only stepped up to the moment, he embraced it to drive in Caleb Cunningham from second base and end Tuesday’s game. Ironton St. Joe may have hung a four in the visitor’s portion of South Webster’s scoreboard, but that didn’t reflect the ace like pitching performance from sophomore Billy Jones. Through just six innings, Jones had allowed just one hit while striking out seven Flyers batters. ISJ may have picked up two runs in the seventh, but his performance on the mound was exactly what the Jeeps needed to give their bats a chance to win. Cook’s walk off RBI single was his lone hit of Tuesday’s win. Aidan Andrews game tying RBI in the seventh, Jones’ go ahead RBI in the sixth, runs scored by Caleb Cunningham and Gabe Ruth and the winning run scored by Jacob Ruth all were incredibly pivotal moments in their own respect for the Jeeps to secure the come from behind win. Tuesday’s win is likely one that will not only pay off in the immediate, but also down the line come tournament seeding time when the Flyers are to be seeded and compared to Ironton St. Joe as potential sectional opponents.